So great to hear!! Yes, being only 15 units in the entire building does keep it nice and quaint and we are so glad you enjoy that!! Thank you for being our guest and we hope to see you back for another visit soon. Condo was an excellent choice - clean, roomy, good location. There were a few minor issues that were just age and use related, but nothing that interfered with having a great time. Second bedroom is overcrowded with beds, OK for kids but not as comfortable for adults. Couldn't easily access sliding door and curtains to enjoy ocean front benefits. But master, living room and kitchen very spacious. Pool was small, but warm, good for a refreshing rinse-off. And ocean is just steps away. No other amenities, but we knew that going in and we were there for the beach. Actually really enjoyed being in a smaller complex, had friendly neighbors and maintenance man. Very uncrowded beach area, which we loved. Condo could have used a guest book, for restaurant and activity suggestions from other guests - as first time visitors to area, we would have benefitted from that. Thank you so much for your feedback for your recent stay in this premier condo at The Trillium and we are glad to hear you enjoyed your time! We will pass this feedback over to the owners for the review on your suggestions, thanks for sharing!! In our office we have a number of publications regarding area attractions and events, we also have restaurant guides here too so if there ever anything that you need or would like suggestions on, do not hesitate to call us or stop in!! :-) Thank you for being our guest and we hope to see you back on Madeira Beach for another visit soon. Very nice staff. Uncomplicated handling. Very nice apartment. Great location. Awesome to hear!! 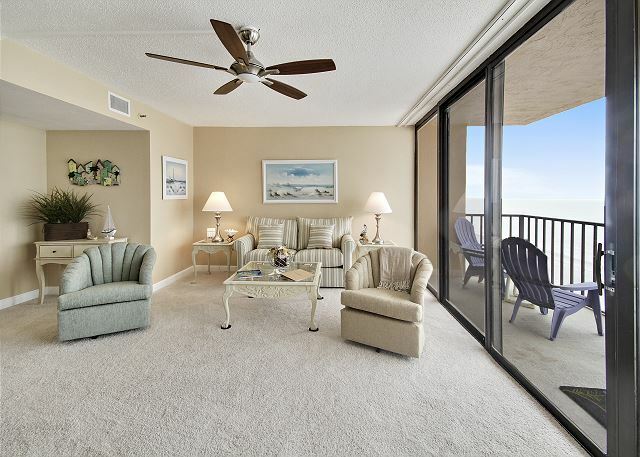 We are so glad you enjoyed this premier condo on Madeira Beach and we look forward to seeing you back for another visit! Great Condon with a beautiful view. Thank you for your feedback from your recent stay with us. We are glad you enjoyed your time in this updated condo in our program, we are sorry if the beach was affected at all during your time. Red Tide has been in and out in our area, some days it is not registering at all in the daily water testing that the city conducts, the next day it may show some presence so it is a tough one to predict. We are truly so sorry it is even here and affected anything with your vacation time!! We will share your feedback about the pool chairs with the condo association as they handle that portion of things. Thank you for being our guest and we hope to see you back for another beach getaway next year. Trillium 4B was excellent. The view was beautiful and accomodations were perfect. 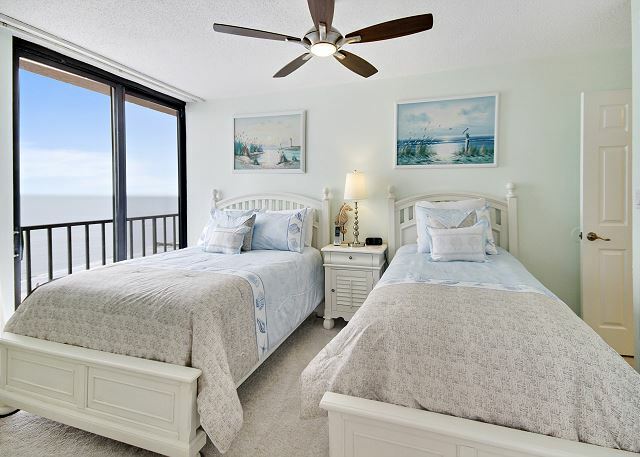 The fact that the two bedrooms have ocean view was ideal. Only thing that could of been better was to have another couch instead of the two chairs in the living room, to be more comfortable. Thank you for this feedback and we will be sure to pass this over to the owners for their review and consideration. 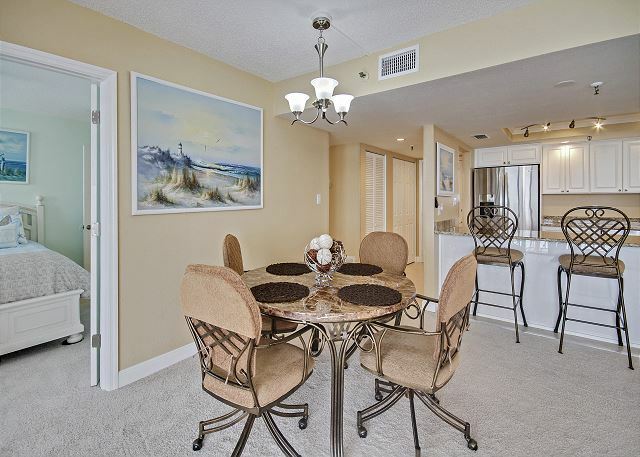 We are so glad you enjoyed this premier condo in our inventory, the "B" units at this location are unique having both bedrooms and the living room area directly facing the Gulf....we are so glad you enjoyed that aspect of this! :-) Thank you for choosing to stay with us and we hope to host a future vacation to Madeira Beach for you! Not only was Trillium 4B the best condo we have rented but Resort Rentals was the best rental company! The condo was so clean and really had everything we needed for our stay. Resort Rentals was super accommodating, inclusive of having box fans and beach chairs / umbrellas available. 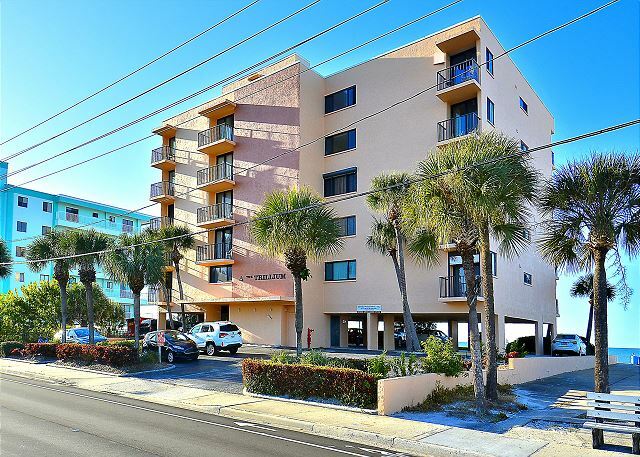 The condo was clean, decorated beautifully with recent upgrades, and you step from the building right onto the sand. The pool and deck area could use an upgrade, but at least there was one. Spectacular view from the balcony in each room. Spacious master suite and beautifully done kitchen. Check-in/out was quick and easy. 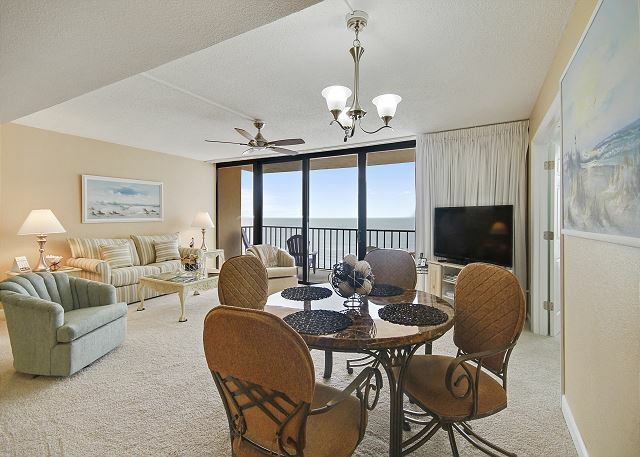 Sounds like you had a good stay in this premier condo on Madeira Beach and we love to hear it!! 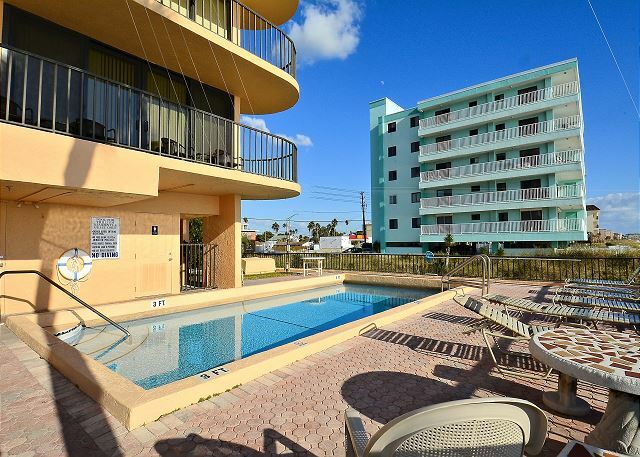 :-) We will be sure to share this feedback with the condo association as well in regards to the pool and deck area as they are the ones to maintain that area and the grounds. We are glad everything else went smoothly for you and we hope to have you back for future visits! The unit was perfect. Outstanding view. Our family had a wonderful time. Only suggestion: The drapery rods in the guest bedroom need replacing. Beautiful and clean condo - plenty of room. Had everything we needed. AC could be cooler but we had ceiling fans at least. Beach was great - pool is small but nice. Would definitely return! 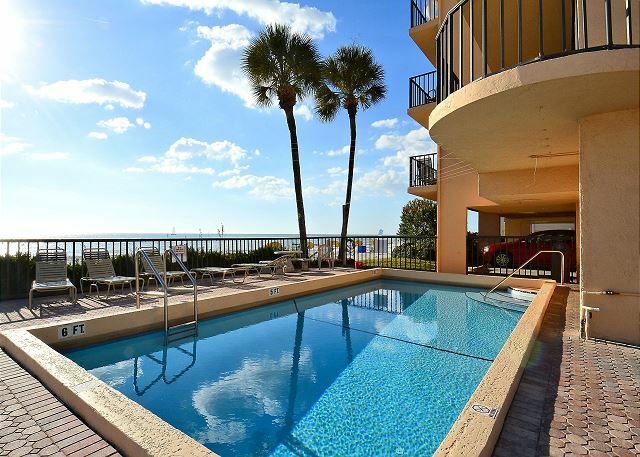 Glad to here you enjoyed your stay in this premier condo on Madeira Beach!!! Thank you for being our guest and we hope to see you back for another beach vacation soon! We enjoyed a wonderful week. Condo 4b was exactly as pictured and was very clean, up to date and well taken care off. The balconies and views from across the entire suite were spectacular. Furniture and beds were comfortable. There wasn’t anything we didn’t like with this unit and plan to return again next year. Thank you. So awesome to hear, thanks for sharing!!! :-) This premier condo at The Trillium really is nicely done and we are so glad you were comfortable here. Thank you for being our guest and we look forward to having you back for another visit next summer! Perfect place for a relaxing holiday! 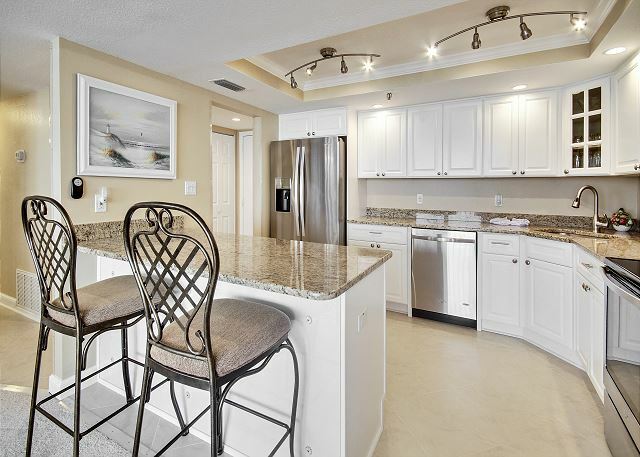 This condo is beautifully decorated and spotlessly clean. It is well equipped with everything you need to have a relaxing holiday. The balcony provides a wonderful view of the beach and ocean. It is located close to John’s Pass with its shops and restaurants and there are several other great restaurants nearby. Try Conch Republic, Keegan’s, and Dockside Dave’s for delicious seafood. Thank you so much for this post! 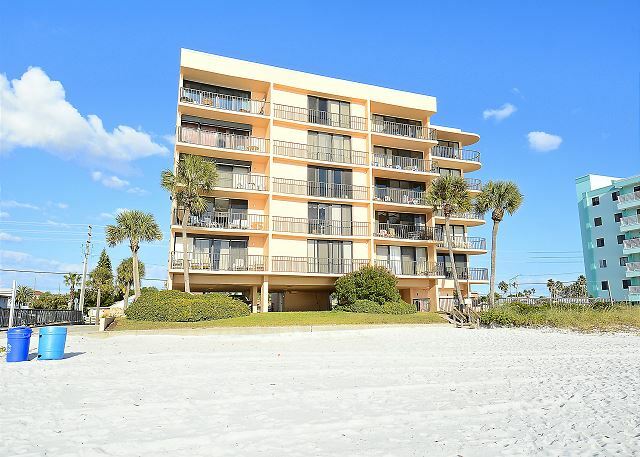 We are so glad you enjoyed your stay in this premier condo on Madeira Beach and it sounds like you hit some really good restaurants!!! The ones you have listed here are some of our favorites as well!! :-) Thank you so much for choosing to stay with us and we hope to have you back for another visit to our awesome beaches soon!! This was our first stay at Trillium 4b and I can’t wait for our next one. The complex is small and quiet and the room was perfecT. It is close to everything and the views can’t be beat. We had a great time! We visited Resort Rentals three times. Lands End and Trillium. Everything was always great. We would like to come again. Great, we would love to have you again!! :-) Thank you for staying with us and we will see you for your next beach getaway! At the time they were renovating next door condo. Rental company were exceptional in trying to resolve the problem. I have been to this building 6 times at least and will go back in a minute. Thank you Resort Rentals for being fair. If you love the beach this is it. Nicest Place We've Ever Stayed In! 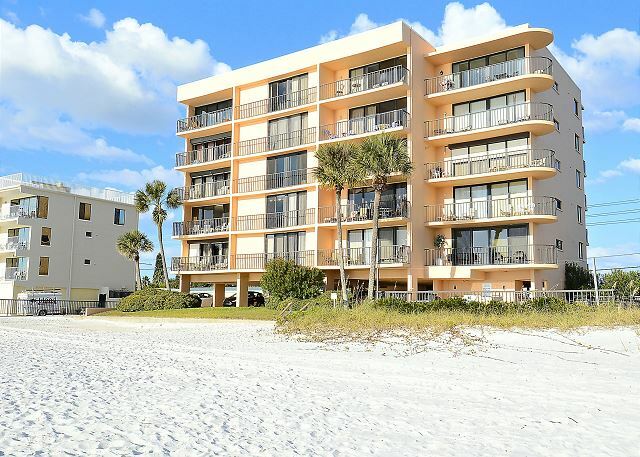 This condo was absolutley beautiful, fully renovated and on the perfect beach location with small crowds, calm waves for little ones to play and spectacular views. 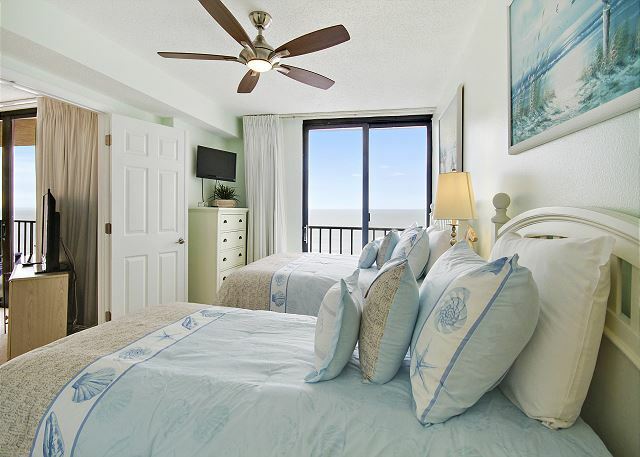 With beautiful gulf views from the living room and both bed rooms you couldn't have a better spot to sit and watch the ocean than at this place. 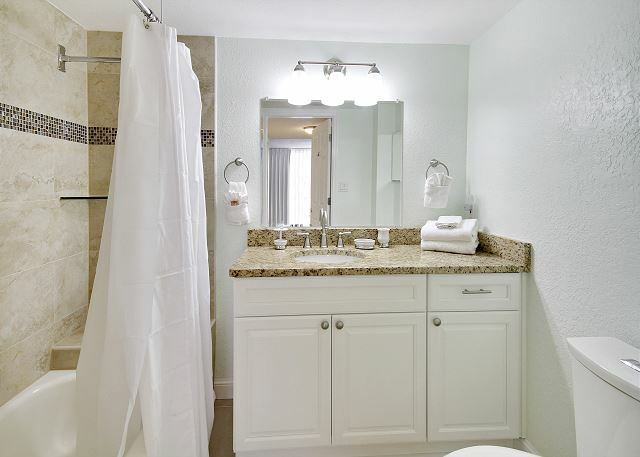 It was 100% clean and we would choose no where else to stay other than this condo when visiting St. Petersburg! Check out the rolled ice cream shop, Dockside Daves and the Conch Rebuplic restaurants nearby...you won't be disappointed! So great to hear, thank you for this!!! 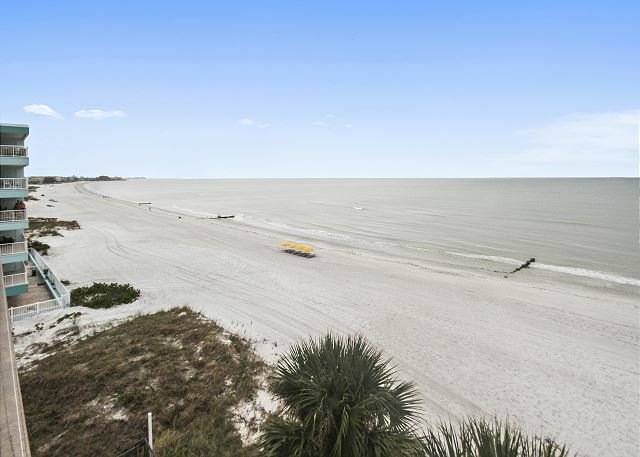 We are so glad you found your ideal spot with this premier condo on Madeira Beach, it really is awesome!!! :-) Thank you for staying with us and we look forward to your return visit!! The property was nicely renovated and very clean. The master bedroom was large with double closets. The building was only 20 units so the beach was not crowded. The pool is a little small but again for a smaller building, it was sufficient and there were always deck chairs available. Large balcony with perfect view of the Gulf. The only negative is the small parking lot so if every unit would have been occupied or would have had multiple cars, there probably would not have been room for everyone to park. Some of the parking is under the building and only 6'8" which was too small for our truck w cap. Luckily, our assigned spot was outside but we didn't know that until we arrived. Overall a very nice place to stay and beach is literally a short walk from your door. It is not a long walk in the hot sand as you see at some beach condos. It was very easy to go back and forth between your unit and the water. You must use a key to open the lobby door to get to the stairs or elevator which was a little annoying when you had 6 people and only 2 keys. On the other hand, it did offer added security. Would love to have had a key pad entry rather than needing keys to split between all guests. Overall, it was a perfect vacation. Thank you so much for this post! We are so glad to hear you enjoyed this location and your stay in this premier condo at The Trillium!! :-) It is true that there is not a lot of additional parking at this location as it is only a smaller building but we are glad it accommodated for your truck! Being a secure building you do need your keys handy at all times to get in and out and we can appreciate that getting frustrating with a larger group. If you need an additional key to the unit, please don't hesitate to ask and if we have an additional to supply to you for your stay, we are more than happy to do so. The condo association would be in charge of putting in any kind of keyless entry but we too think it would be great!! Thanks you so much for choosing to stay with us and we hope to have you back for another beach vacation soon! Great vacation despite the bad weather. Condo was perfect. 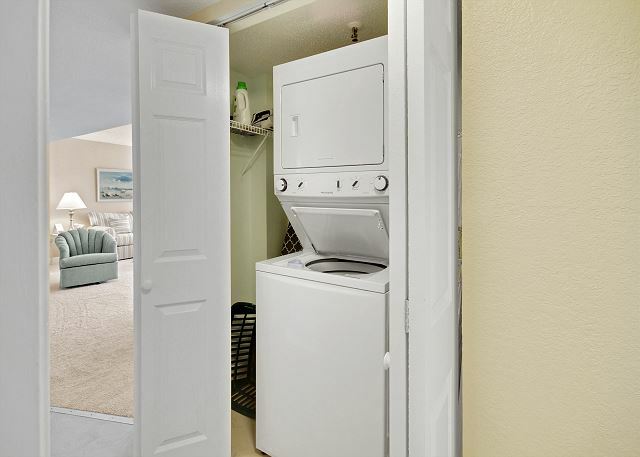 Overall, clean, well appointed condo. Can easily accommodate 4. Plenty of towels and accessories. Nice views and quiet location. Folding doors need some repairs tho--tracks are broken. Mgmt co is easy to work with. Thanks for the post! 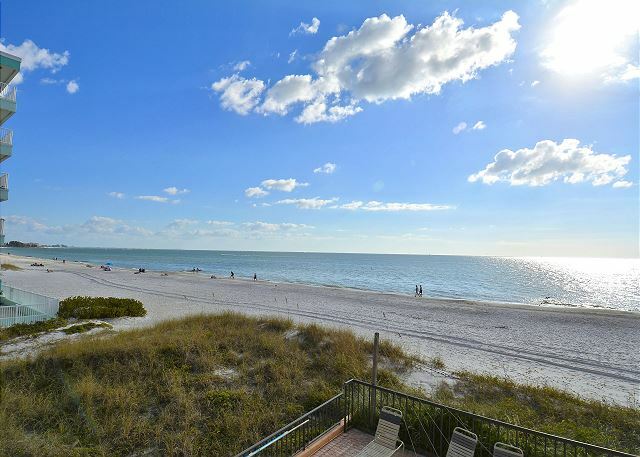 We are so glad you were happy with this premier condo on Madeira Beach and were able to get in some good R&R!! :-) Thank you for being our guest and we hope to have you back in our area, and on our beautiful beaches again very soon! Spent 7 days at the Trillium. Nicely appointed condo with excellent views. Easy walk to Johns Pass for nightlife. Condo needed new drape pulls and sealing of granite counters. Better sheets on master bed too. Other than that, a very nice choice. Great Stay over New Year! We were the first to stay in the newly renovated Trillium 4B and were welcomed with a modern condo with everything we needed. So close to the gulf, when you look out from living room, it looks like you're on a boat! We saw dolphins from our deck every day. All new appliances, so that was nice. New carpet throughout. Walk to dinner at several places, 1.5 miles from John's Pass, which was nice. Highly recommend renting beach chair service. -Parking is low ceiling under bldg., so if you have a carrying thing on the luggage rack, make arrangements. -Condo door doesn't lock behind you, be sure to lock it. -Only a few HD channels on TV. -GREAT wifi - reaches you on the beach! All in all, great stay. Highly recommend. Thanks for the post and for being our first visitor to the updates!!! :-) We are so glad you enjoyed your time here, it really is a great and central location in a nice, newly updated condo!!! :-) We hope to have you back on Madeira Beach again soon! February 2015 Getaway from SNOW! For the last seven years we have stayed at the Trillium. We have stayed in three different units, but each was similar and most comfortable. ResortRealty is just great to work with. The location on the beach is just wonderful. The balcony offers views and space to enjoy the afternoon sun without the sand. Beach in manicured each morning by the township; so it is always in good clean condition. I don't see how you could possibly go wrong here. 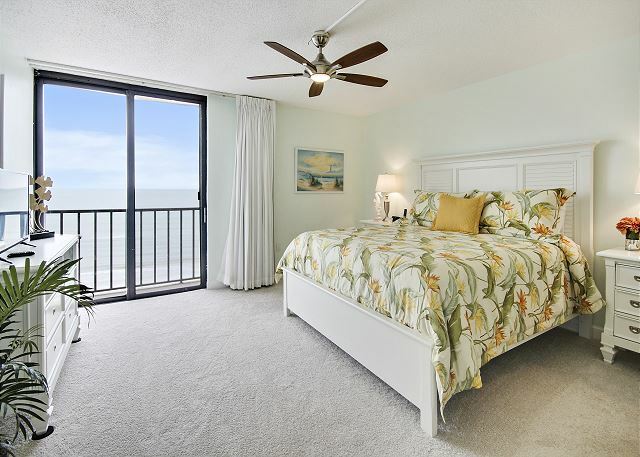 We especially love the floor layout of this unit, as both bedrooms are right on the gulf so we can hear the surf at night! Susan M from Shawnee, Kansas does not recommend this vacation rental. Location was wonderful, right on the beach. 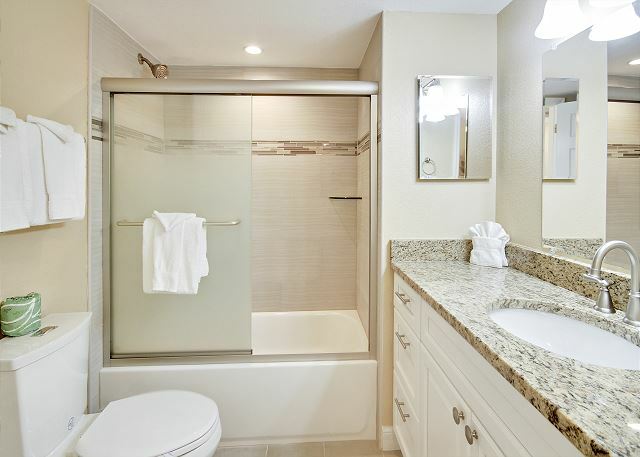 Unit was clean but could use some updating in the kitchen and baths. I would definitely stay at the complex again. As usual it was very nice. Trillium was very nice and we rented 3 condos for the week. Second time in same condo, Nice upgrades since first time. The building is not brand new, but is well maintained, and technical installations works well. The condo is well equipped and was clean on arrival. A few Nice upgrades from last time with new carpets and curtains. Could maybe invest in a new coffe maker? 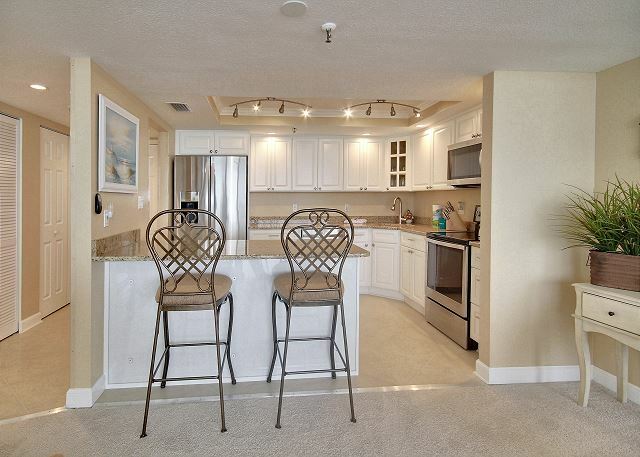 We hope to fint this condo vaccant if we return to the area aner time in Florida. Our family of 5 really enjoyed our stay! The condo is dated but as far as overall functionality, it was perfect. It was very clean, too. The views from each room that overlook the ocean are amazing. We could watch the sunset from any room. There was plenty of room and everything we needed to enjoy the week! wonderful. We have stayed at the Trillium the past 2 years. Changed apartments, but both were great. Nice people, easy access to ocean and you cannot get a better view of the Gulf. Had all comforts of home. Will be going back!!! Larry S from Burlington, WI does not recommend this vacation rental. Have stayed in this building many times. This unit 4B needs many upgrades. No Flat screen TVs. Cabinets, kitchen, refrig, bathrooms, carpenting, all needs replacement. Everything functioned. We fortunately had great weather all week and were not in the room much. Liked other units there better than this one. Liked the 4th floor location. It just needs some updating. Great location, wonderful ocean view, many nice restaurants. Would come back again. We would go there again.... Sliding doors in the living room were hard to close, they need fixed, other than that comfy.... The toaster was,nt working , called the office there was one put in our app. Next day. Office staff very nice and helpful.. Thanks again. the rental needs work.doors off living room to bed room broken door handle bolt master bath also broken and last of all kitchen counters full off ants you put traps out not enough. Beautiful views and right on the beach. Unit could use some new mattresses but the perfect spot on the beach. wonderful sunsets and dolphin watching from the balcony. We had a great time at this rental property. The location is wonderful. The beaches are clean and not crowded. The Trillium itself is clean and maintained well. Resort Rentals are wonderful to work with. The only issues was the cleanliness of this unit. It was not cleaned very well at all. But other than that we would definately recommend this unit! It was a very nice location with beautiful views. However the parking was very limited and cramped but other wise a wonderful vacation. Pat H from Seminole, FL does not recommend this vacation rental. 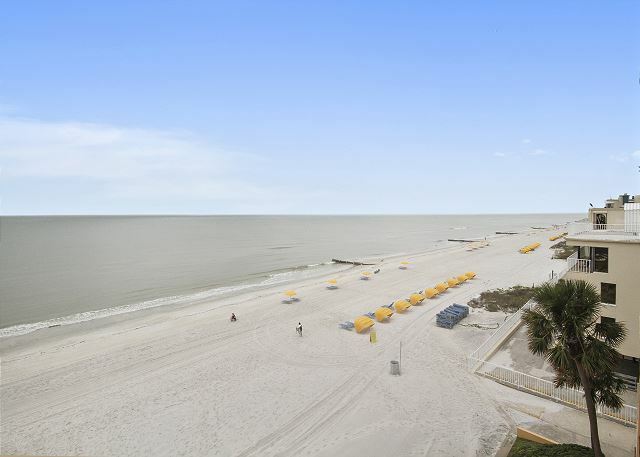 Views of the gulf from every room . Steps to the beach where i rented a beach cabana. We loved the size of the condo, and the furnishings were beautiful. The view and closeness to the water were great. The pool was a bit disappointing and there should be pads on the lounge chairs. We would want to stay in the unit again. Really loved the layout of this condo -- esp. 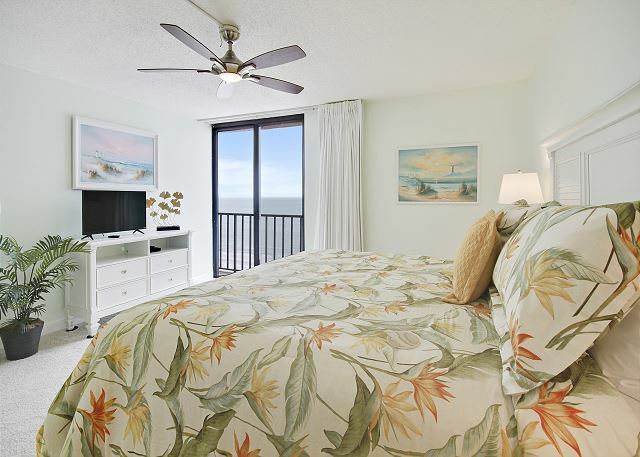 the sliding glass doors opening out to a beach view in both bedrooms!I wish every condo was designed this way! Could've used a pair of pot holders and more eating utensils, but otherwise a very nice setup. We had a wonderful time! Fantastic location and directly on the beach. Condo had new carpeting and a great master bedroom. The living room furniture needs to be replaced and the kitchen is out-dated which wouldn't be bad except the side of the fridge looked like it hadn't been cleaned in months. The pool is small with only six or seven chairs and the patio has really cheap, plastic chairs. Parking is limited and your keys either work the front door to the lobby or the back door but not both. 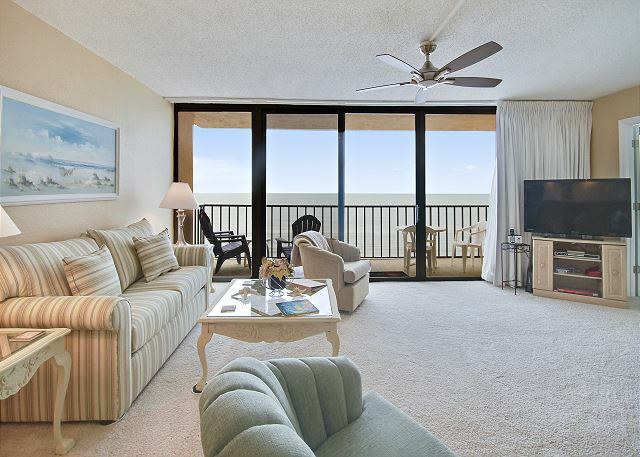 At the end of the day, if you are there to enjoy the beach then this condo serves the purpose. perfect location ,balcony view of the water, everything i ordered. thanks will return for years to come..
very nice condo good location beach was great, good security,felt like home. Is about sunset, that summaries the whole story, the story of beauty and peace. a guest from Hermon Town, MN does not recommend this vacation rental. Location was great, unit needs MAJOR upgrading. I would suggest the Trillium again, but not this unit. Beware of the dryer--it left rust stains on some of our clothes and also took forever to dry stuff. Otherwise, this condo was great, decor and carpet a bit outdated, but this didn't really matter to us. Great location, large balcony, quiet and secure building. This unit not as modern as some others but not bad. Within easy walking distance of grocery and other shops. Great shopping/restaurants at Johns Pass, 1 mile south. Would stay there again!